From the devastation of WWII to the post war division, wherever you stand in Berlin you are always reminded of the city’s tragic twentieth century history. During the peak of the Cold War there were an estimated 16 spy agencies working in the city and while James Bond and Jason Bourne have moved on ( as far as we know) one Cold War hero has lasted the test of time. That man is the East Berlin Ampelmann. Ampelmann, like any good spy can be easily overlooked or passed by, and after the German reunification he began to meld back into the shadows. However the citizens needed a hero, they needed a man to rally around to preserve their culture and Ampelmann was that man. So who is Ampelmann? Put simply he is the road crossing man. 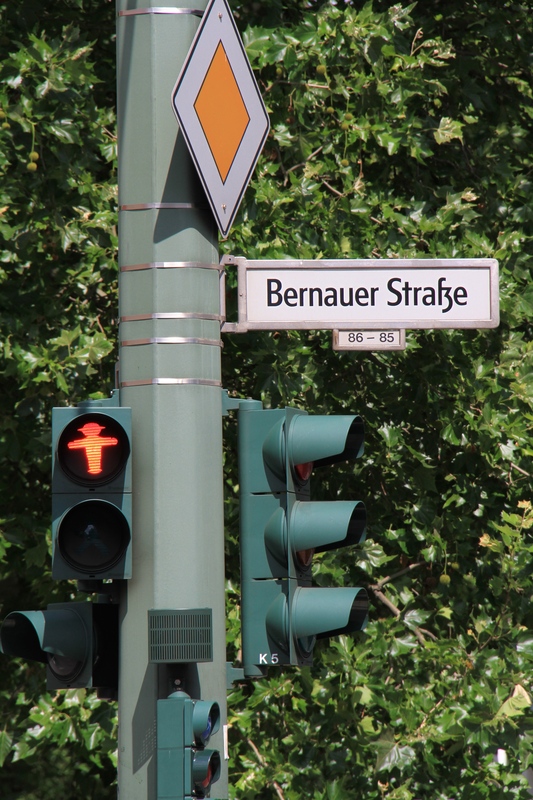 It was easy to tell what part of Berlin you where in based purely upon the road crossing signals. 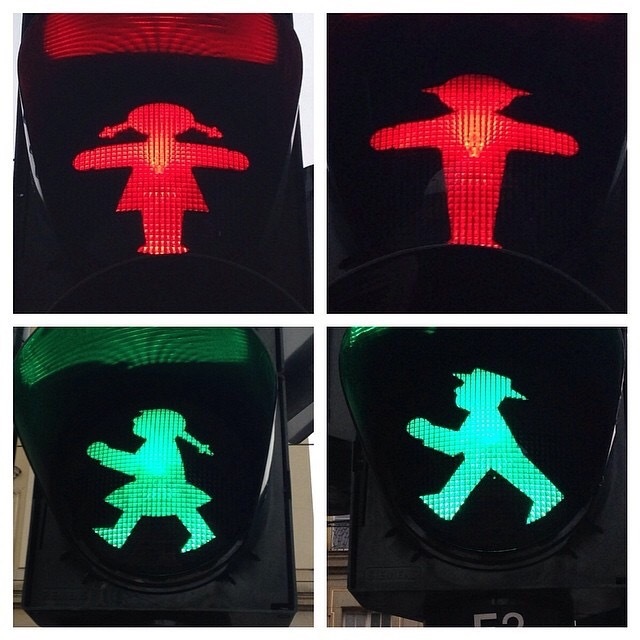 In West Berlin you had the boring capitalist slightly depressing looking stick figure we know around the world. Not in East Berlin! East Berlin (and East Germany as a whole) had Ampelmann, a slightly paunchy communist crossing man that oozed charisma. When stopped he stood defiantly, arms out stressed ( as opposed to the almost anaemic looking western version). When green he strode confidently, head held high, back arched as he marched off to work like all happy communists were expected to do! After the fall of the wall his life was threatened, like many a good spy he was being hunted and was slowly being replaced by the western crossing man, the Cold War was over, and it appeared his time was quickly running out too. However the people of East Berlin rallied around Ampelmann and he is now one of the symbols of the city. In the 1990’s a committee for the preservation of ampelmann was set up. The media jumped on board, the campaign grew and eventually politicians had to take note, the people had spoken! 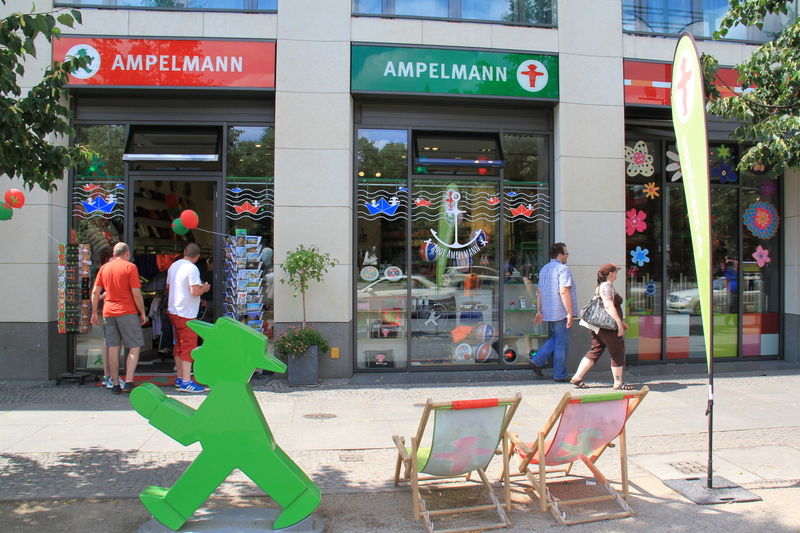 Nowadays whole souvenir stores dedicated to him can be found throughout Berlin selling everything from Ampelmann ice cube trays and cookie cutters to wine stops, bags, hats even Ampelmann Gummi Bears! One of the many Ampelmann stores throughout Berlin. Do you really need those ice cube trays, well yes! 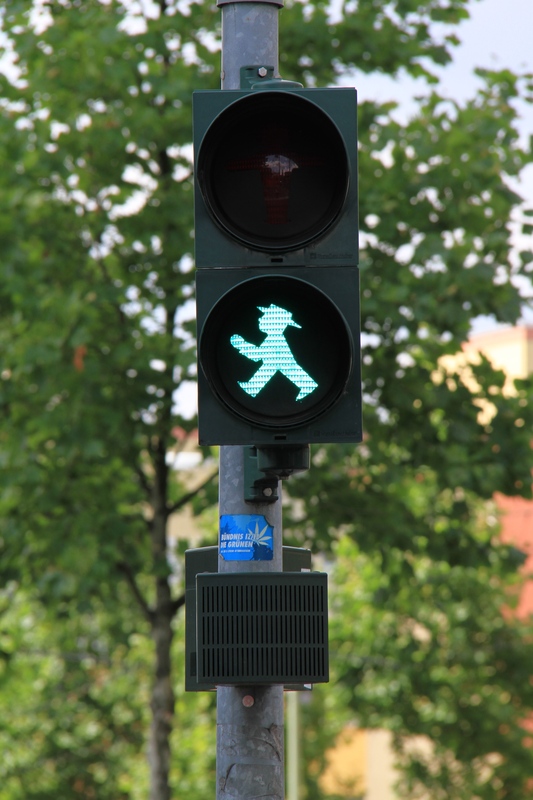 In fact he has become so popular that when new crossing signals are now installed across Berlin regardless of East or West it is Ampelmann who stands stops you victoriously across the city. This entry was posted in Germany and tagged Ampelmann, Berlin, Cold War Berlin, germany, travel. Can’t remember Ampelmann Dean but I do remember a drab East Berlin with terrible beer and Check-point Charlie.